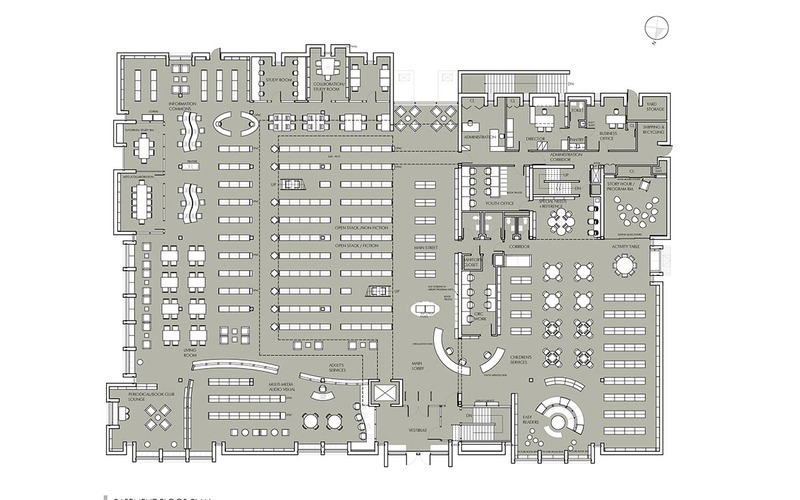 In 1971, the Garden City Public Library approved the construction of a 39,000 new library building. Located on Seventh Street, the main street and center of town, it has served as a locus of information for the community’s informational, educational, social and cultural needs. While state-of-the-art then, and updated in selected areas in 2008, the Library recognized that the current library setting does not fully support today’s library services and offerings. MDA designgroup transformed the structure’s interior, inserted a cutting-edge library environment within the existing structure. 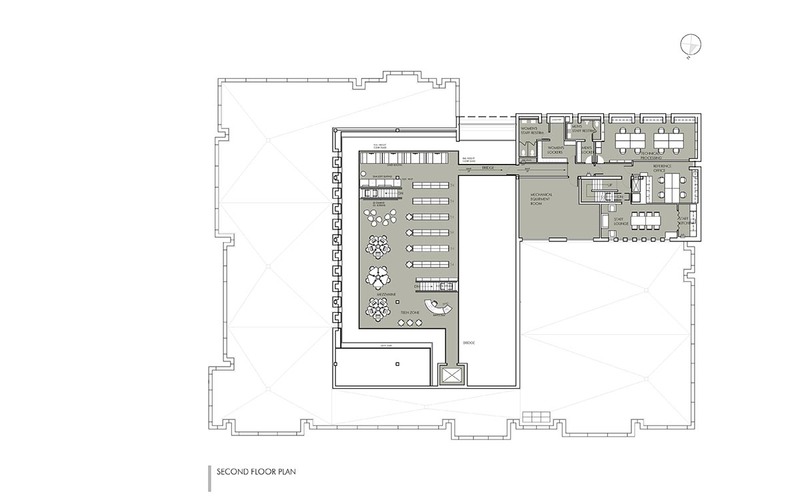 MDA’s analysis proved that when uses were redefined and shifted in location, the original structure was able to accommodate new services and goals within the existing volume of space. 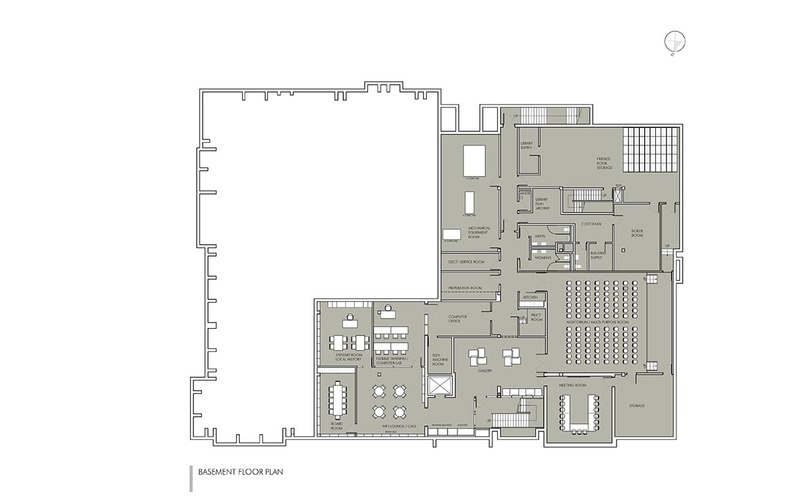 Two main axes of circulation, highlighting popular offerings and gathering areas were created to reinforce and celebrate connections to services and to exterior views. New sculptural lighting and beautiful finishes invigorate each area and transform a formerly dark interior of disconnected service areas into a flowing interior that showcases its offerings. Welcoming environments intuitively unfold to provide for a wide range of user choice, a welcoming civic presence and a sense of place. 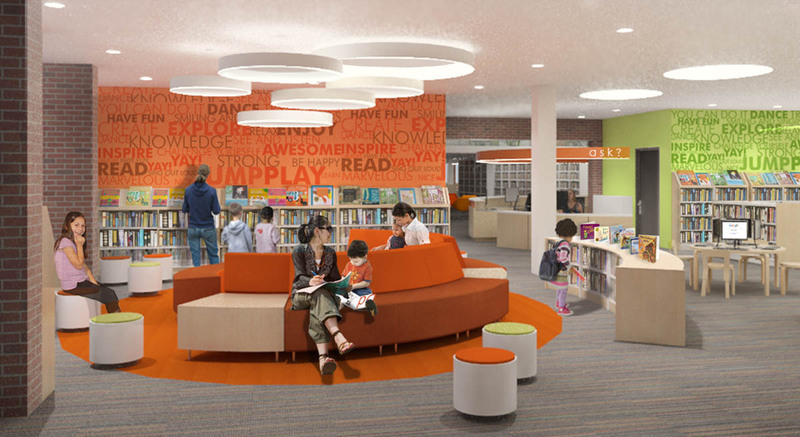 The renewal supports cutting-edge library service and encourages the participatory experience central to the Library’s mission. The Welcome Zone showcases new materials and introduces a range of popular services. The existing circulation desk, reduced in size, now welcomes users with convenient kiosks for self-checkout of materials. 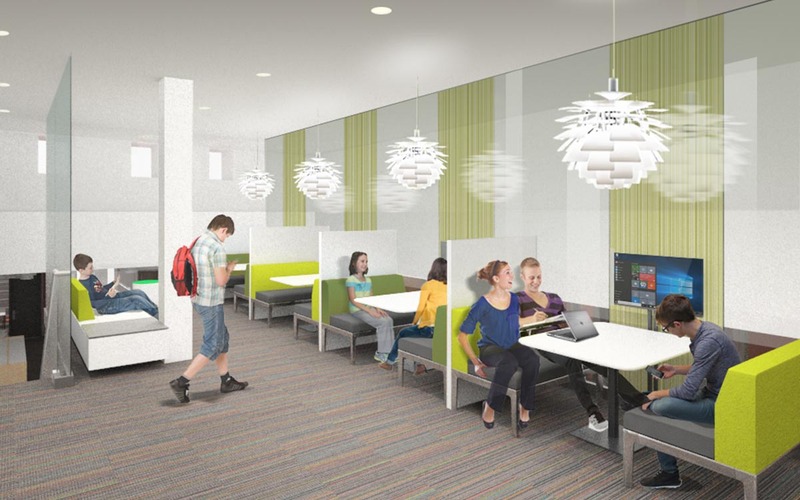 Stack and seating areas have been transformed to dedicate new space for individual study, collaborative environments and meeting spaces to support individual choice. 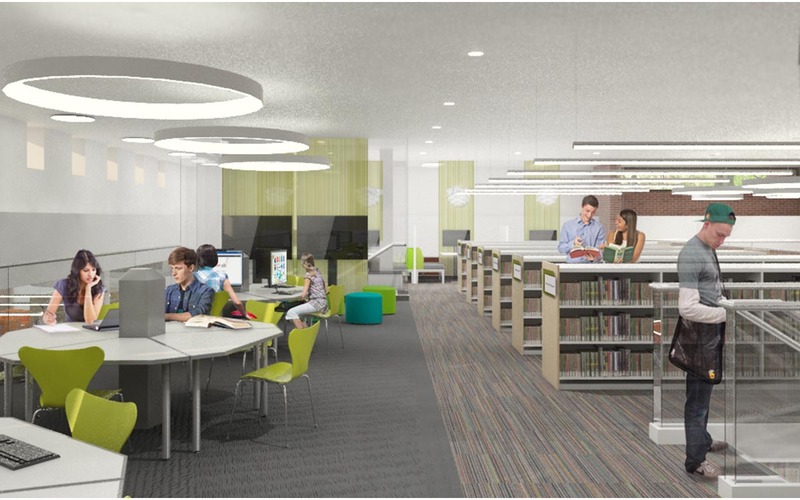 The potential for the light-filled perimeter with views to the landscaped site has been captured with a variety of casual seating and table configurations to provide comfort and choice for library users. The Children’s Zone is radically transformed from a dark segmented area to a vibrant colorful wing that inspires the imagination and invites active use. 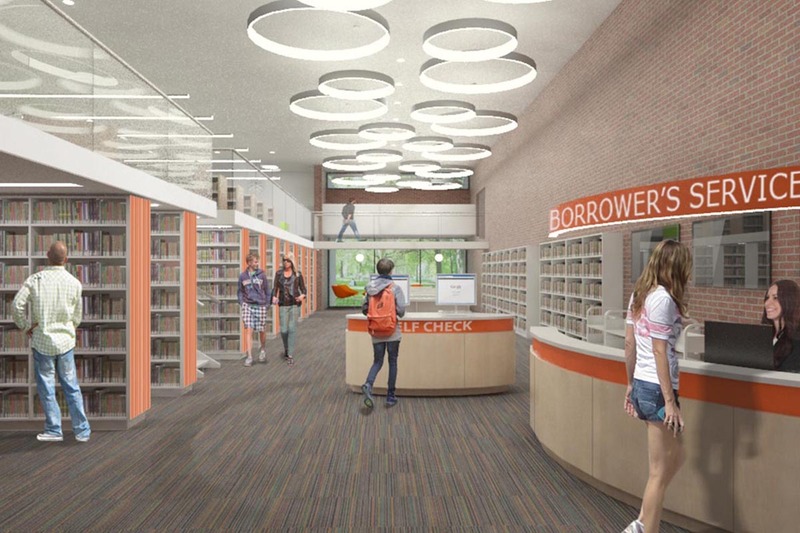 New spaces include an enlarged Teen Zone relocated to a loft perched above the stacks, an Information Commons with added business center functions, an open Living Room serving as casual reading area, smart meeting rooms, a vibrant café and gallery, and an expanded Local History Center. With a seamless integration of technology, information is offered in a way that is easily harvestable, anytime, anywhere. 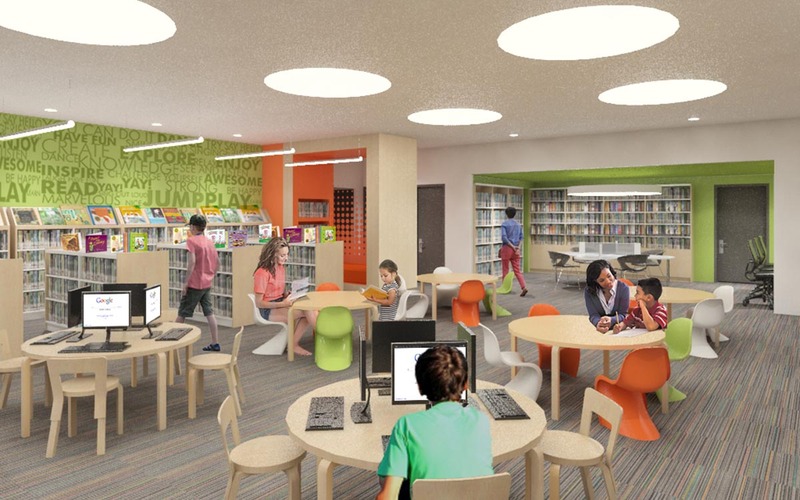 In the renovated Garden City Public Library, the physical and the digital become intertwined, inseparable in creating a physical and virtual portal to an array of resources, technology, and activity.